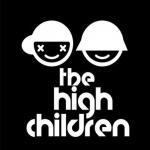 Pro General Comments: Hi THC -Thanks for letting me know about your track, "Broken Line". I really dig it. In my honest opinion, this song nearly has it all, from a Pop perspective. I think it's very close to something that could certainly find a home in some sort of sync scenario - a TV show, film, game, trailer, commercial, etc. As for what needs work, I'll address that below, but overall NICE WORK. You certainly have the makings of what could be a great, radio-friendly Pop song. I really love the main hook and huge keyboards in the chorus, just excellent.I like the Euro-Pop / Dream-Pop / Electro-Pop feel and sound of it for sure. It does sound very close to something you would hear on the radio already without changing a thing. With a few clean-up details, I could probably pitch this to SiriusXM and/or other retail outlets for you (like gyms, malls, restaurants, stores and shops, etc.). My retail rotation clients tend to like songs with just a little more energy, but this one is really close already - right on the verge kind of that mid-tempo vibe - not *too* slow.I think the production value on this song (the technical aspects of the recording, mix, and master) are all very good and don't really hear much, if anything, I'd change there other than the Auto-tune, mentioned next.The performances seem pretty solid, especially the instrumental backing tracks and rapping - very good stuff. The sung vocals are ok, but at times definitely seem over processed and unnatural. That may be what you were going for on this tune, with so much Auto-tune used giving it that robotic feel/sound. To me, that's probably the one area that I would address first. It's ok to use Auto-tune as a 'secret sauce' or sweetener to use that here and there, but it seems like it's overused on this song, in my opinion. I'm not sure if that's because it's correcting so much of the pitch along the way - or - if it's really just being used as an effect. It sounds to me like your singer might actually be hitting the notes without the Auto-tune... but then the Auto-tune is pushing some places OUT of tune, which just won't do it's distracting. And most producers, directors, and editors wouldn't choose to work with it based on that issue (flat notes in the music/vocal track would distract from picture, from the story in a visual). What does this song sound like with NO Auto-tune? Are the vocals in-pitch already and Auto-tune is just an effect? If so, dial it way back (probably the Re-tune Speed) and let the natural voice come out more because as-is, I couldn't pitch it for anything sync related due to the lead vocal and Auto-tune effect. It makes it seem too homegrown and semi-professional because it seems overused. So, work out those kinks for sure. Otherwise, nice song that could work for some different possibilities, but the vocals need to be addressed. Quote From Pro: THC's "Broken Line" is one of the best, new, original Indie Pop tracks I've heard in awhile. It has be makings of what could definitely be a Hit and could certainly find its way into a TV show, film, commercial, or any other type of sync situation.